"I was country when country wasn't cool." 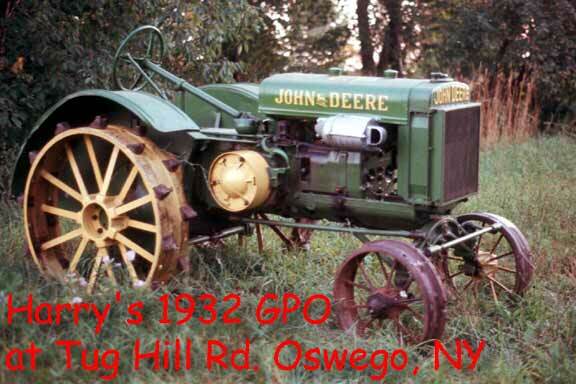 I grew up on a New York State country farm in Schuyler County with a John Deere LA, grapes, peaches, pears and a few chickens. At the age of two, I had this electrifying experience with a hairpin and a wall socket, so I've been into electronic things most of my life. I started my mechanical hobby by taking apart a Briggs and Stratton lawn mower engine in my high school years to see what was inside and to "fix" what was causing it to be a stubborn starter. (I found out that you had to put the rod bearing end cap back on in the same direction you took it off.) I also learned, "if it ain't broke, don't fix it." That David Bradley mower and Briggs engine lived on to 1995 with repairs (plus a few cuss words) made only by myself. After college and marriage and while working at Oswego College, Jeannie and I bought an old country farm (1968) and called it home. It included an Allis Chalmers C and a John Deere GPO on steel, both "fixed" by myself. I used the C to keep the fields mowed and the GP to pull stumps or anything else I wanted pulled. Too bad I spent so much time and money on computers and ham radio because I could have been collecting old gas engines right then! It's hard to get those hobbies sorted out when there are so many things to do. There came a time (1979) when I decided to move and change jobs and I sold the John Deere GPO before I knew that other people collected this junk and I sold my 1968 HEMI Charger R/T before I knew it would be a $1,000,000.00 collector car. 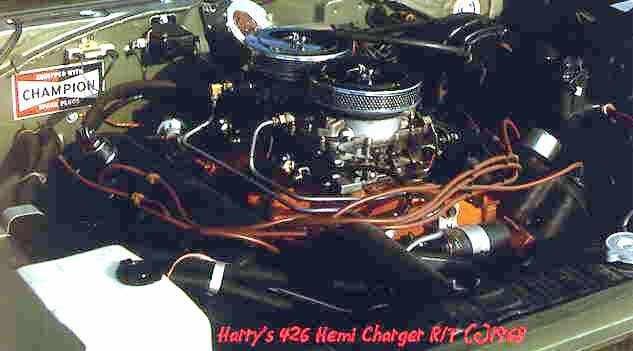 The HEMI Engine was 426 cu. in., 425 horse power and lots of fun! 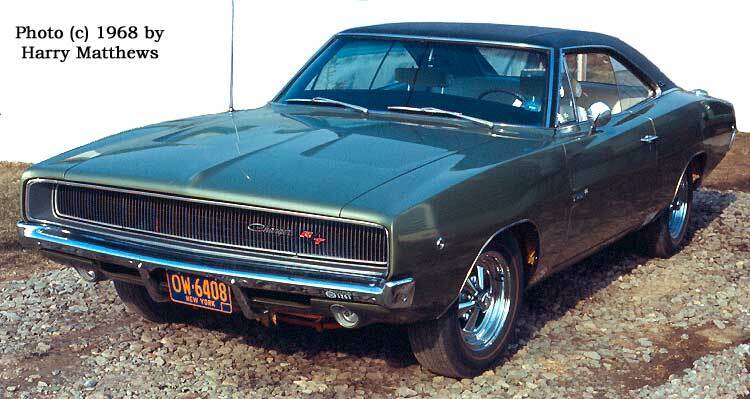 These muscle cars were made before Ralph Nader and the government started designing automobiles for us. More time passed and the antique engine bug bit in 1995 when I went to the Canandaigua show for the first time. It had been going on for years not far from us, but they called it a "Steam Pageant" and who the hell wants to go to a pageant anyway. It wasn't long after the show that I got word from a ham radio friend about a Witte engine that was for sale. If you've read my engine and show pages, you know where I went from there! I am a Senior Life Member and Certified Professional Broadcast Engineer by the Society of Broadcast Engineers (SBE), a Life Member of the Amateur Radio Relay League (ARRL) and Life Member of the NRA. I'm an alumnus of Watkins Glen Central HS, Watkins Glen, NY and graduated from SUNY College of Technology (Electronic Communications) at Alfred, NY. I am now retired from my job as Associate for Instructional Resources at SUNY Oswego after engineering their Satellite and Cable Television systems, smart classroom lecture hall systems, distance learning studios and video transmission systems. I was also the Chief Engineer of their WRVO radio broadcast station, in technical charge of building and developing its transmitting facilities over a 25 year period. Other career activities included working in Instrumentation at the Fitzpatrick Nuclear Power Plant, owner/operator of a computer store ('79 to '85) and working in broadcasting as video engineer at Channel 7 (ABC) WKBW Buffalo, New York and Channel 5 (CBS) WTVH Syracuse, New York. 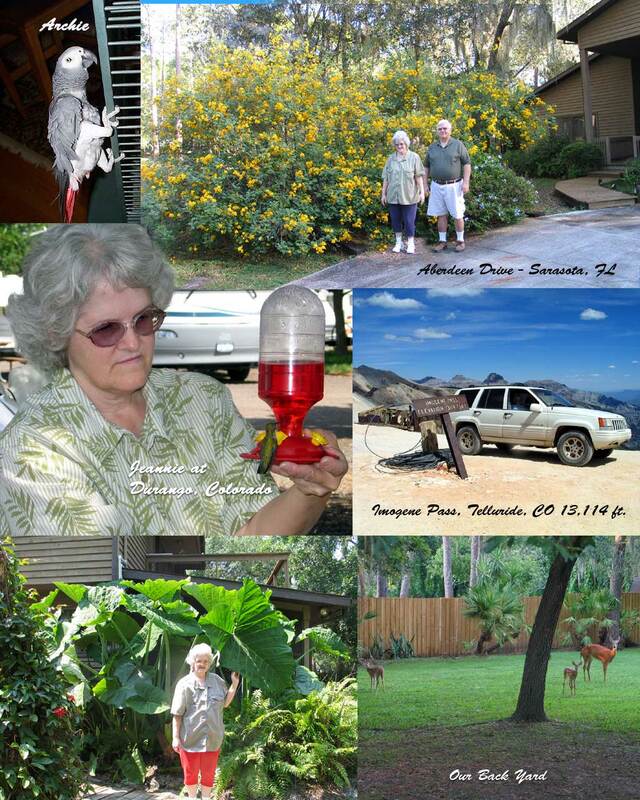 Time passes while we enjoy retirement and travel (SEE ALASKA) and We have had a total of 50 years of summer travel across the USA starting with a 1968 Jeep CJ5 and a crank-up tent camper going west to Arizona and Colorado. We then graduated up through seven types of campers. Our last one was a Tiffin Allegro Open Road model 36LA. Over those years, we have visited every state and most all of the National Parks. That's also 50 years of added age so we are spinning down after all those years of summer travel to spend summers here at our home in Sarasota. For the last 22 years I have also occupied myself publishing the Smokstak and Enginads web sites for thousands of readers. 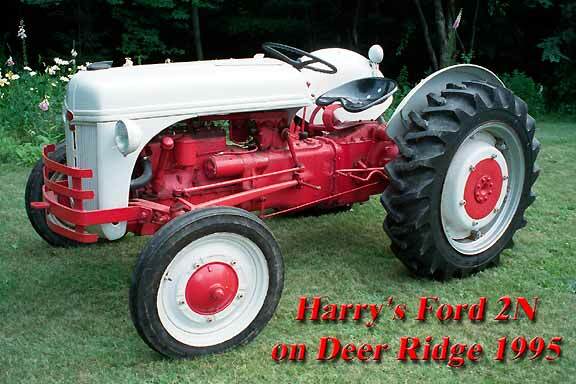 Tractors from Tug Hill and Deer Ridge. And don't forget to check out my ANTIQUE ENGINE collection. Visit with antique engine collectors on the SmokStak engine forum. Buy and sell tractors and engines on the EnginAds classifieds. There's a WHOLE LOT more to this site so click and cruise around! SCRAM back to Harry's Page! Published by Harry Matthews, Inc. © 1995 - 2011. ALL RIGHTS RESERVED!